Needless to say, we’re extremely excited about the larger format, and know it’s going to be a popular choice for those of you replacing an old lighting “console” with something more modern. PSA: User experience is important to us. If you ever have any issues, please get in touch with support@synthe-fx.com so we can help. 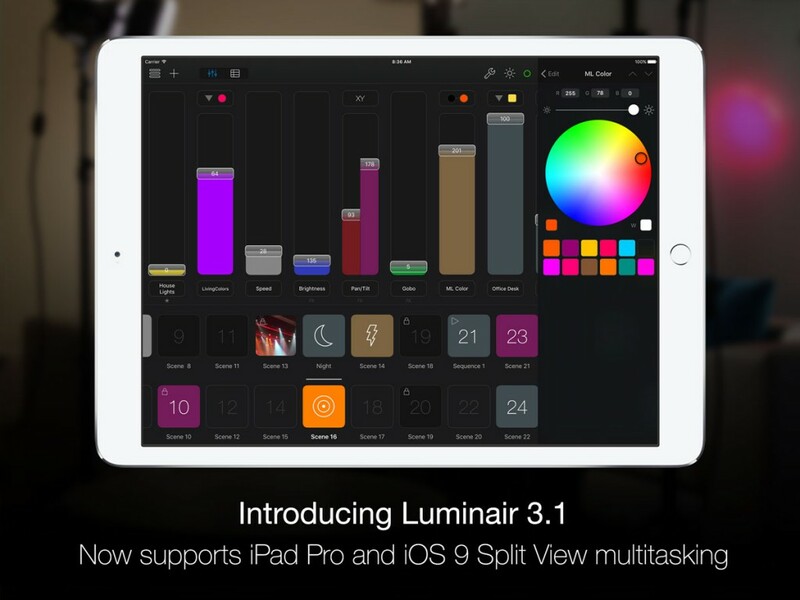 If you enjoy Luminair, please let others know by leaving a favorable review on the App Store! It really helps us continue developing great new features for future updates. Thank you!